Any parent with a young child can tell you about the joys of teething. Teething is not a fun experience for the child or the parent, and many parents worry about the timing, pain levels, placement, and future health of their babies little teeth. Most babies begin teething between 4-9 months, although the time scale can vary wildly from one baby to another. When a baby begins teething, their gums become very tender. Usually the best way to sooth sore gums is by softly rubbing gums with a clean finger or allowing the baby to relieve pressure by chewing on a teething ring or toy. 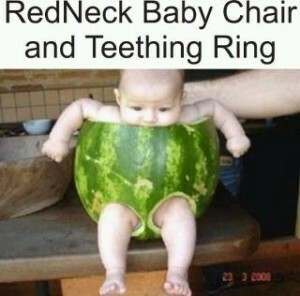 There are many teething ring options available for babies, but ensure that whatever you use, the ring or toy is kept clean to reduce the chance of infection. In addition to keeping toys and rings clean, it is also a good idea to wipe down your babies gums with a cool wet washcloth. Bacteria doesn’t usually threaten the gums until baby teeth emerge, but starting oral hygiene early will keep baby teeth healthy. Wiping your baby’s gums will also help them adjust to having their mouth cleaned and will make the transition to brushing easier once teeth emerge. Sometimes using age appropriate medications such as Tylenol can reduce fevers and allow teething babies to sleep better. While excessive drooling, fussiness, sleeplessness, a low fever, and lots of crying are to be expected, but contact your pediatric dentist if your baby has extreme or long-term symptoms. If your baby is experiencing a high fever, diarrhea, or vomiting while teething, contact your pediatrician. Almost everyone has heard that milk is good for teeth, but do you know why? Do you know that there are other foods that help fortify your teeth naturally? Mother Nature has provided numerous ways to keep your teeth strong and healthy, simply by eating or drinking. Milk– It is common knowledge that milk can fortify bones, but the calcium in milk strengthens teeth as well. Milk strengthens teeth against gum disease as well helping to neutralize some of the acid produced by bacteria. Drink plain milk (adding cookies or sugary cereal will eliminate the benefits), ideally drinking a glass daily. Water- Teeth benefit from water because it washes away lingering debris, but drinking a lot of water also helps maintain high levels of saliva. Saliva, which is made up of 95% water, is the mouths defense against cavities as saliva fights against enamel eating acids. Celery and Apples- A celery a day keeps the doctor away? That doesn’t sound right…But in reality, celery does the same job as an apple, literally helping to scrub your teeth as you chew. Both apples and celery are fibrous foods that help to brush away bacteria, and are also “water-rich” which will increase the production of saliva in the mouth. Strawberries, Citrus, Kiwi and Bell Peppers- The greatest risk to gums is periodontal disease, which gums become susceptible to without adequate collagen. Strawberries, Citrus, Kiwi and Bell Peppers are all high in Vitamin C, which is essential for the production and maintenance of collagen in the gums. Cheese- Combing the benefits of milk and water into one (although we still recommend you drink both), cheese has been shown to increase saliva production as well as neutralizing the acid found in plaque. According to research published General Dentistry, eating cheddar cheese can reduce the overall levels of acid in the mouth.